I have always wanted to try poaching an egg but never had the guts to do it. It just seemed so complicated. I’m not even sure if any kosher restaurants in the New York area are poaching eggs and I wonder, why not?!? In mean, Anthony Bourdain once remarked on Top Chef All-Stars that you could put a runny egg on just about anything and he would enjoy it. I agree, and that’s why I decided that it was time to give it a shot. I would poach an egg in my own kitchen! I would try and try again until I got it right. I didn’t think it would be so simple that I could actually poach an egg correctly the first time! Now, I can’t stop! I spent some time researching online for the best information on how to poach an egg and my favorite website is whatscookingamerica.net. I figured I couldn’t just throw a raw egg in hot water and get it right, so I read the clear directions on how to poach an egg over and over until I knew every step inside and out. What I want to do for you here is simplify the process so you don’t have to take the same amount of time that I did just reading and not cooking. The only ingredients and equipment you will need to poach an egg are a room temperature egg, a small cup or ramekin, a pot of water and a slotted spoon. A thermometer is helpful, but not necessary (unlike with my homemade taffy experience). 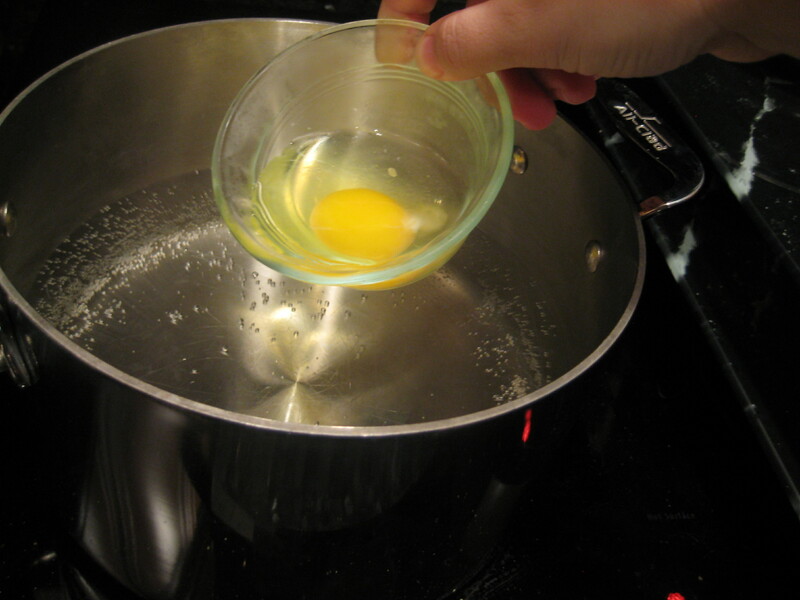 Fill a pot with at least 3 inches of water and begin to heat it up at a medium temperature. While you wait for the water to reach 160-180 degrees, crack each egg in to its own ramekin, making sure to keep the yolk whole. 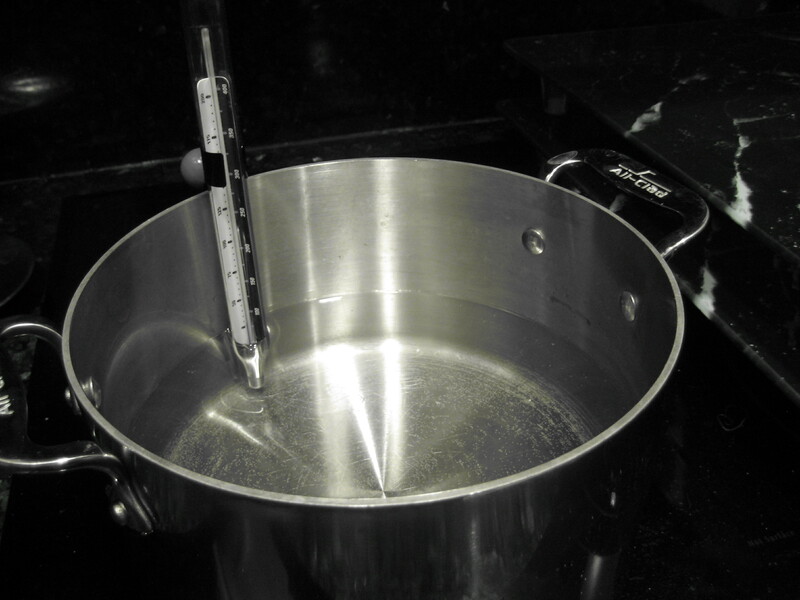 Back to the water: if you don’t have a thermometer, your best bet is to bring the water to a boil and then lower the temperature to reduce the water to a simmer. Then you are ready to poach your egg. Since I had a thermometer, I waited until the water was at around 170 degrees and then I went for it! 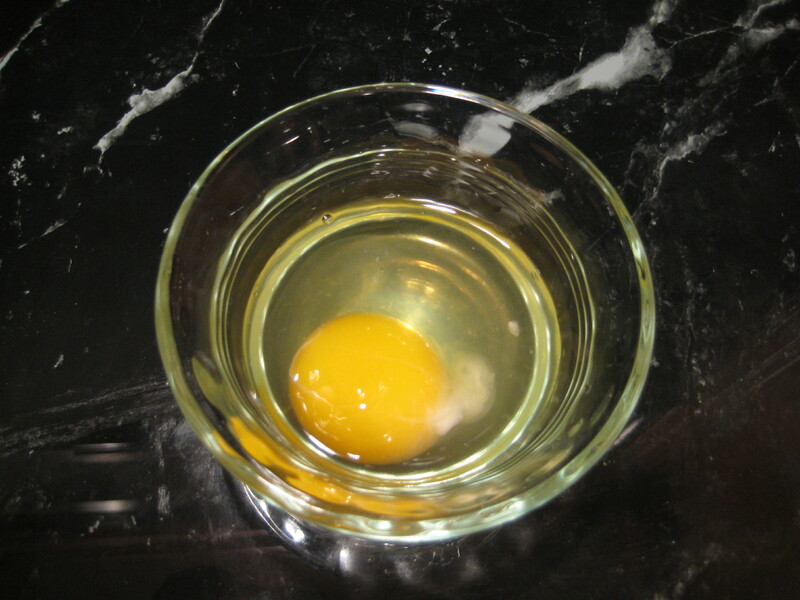 I carefully slipped the egg in to the simmering water by lowering the ramekin partially below the surface of the water. The egg just slid right out and dropped to the bottom of the pot. The white of the egg started to run away so I used a spoon to push it back to the yolk. *Don’t salt the water because it will loosen the whites even more. I then covered the pot, turned off the stove, and let it sit for 3 minutes. The result was delicious! A nice runny egg with the perfect whites. Just add a little salt and pepper and you are good to go. 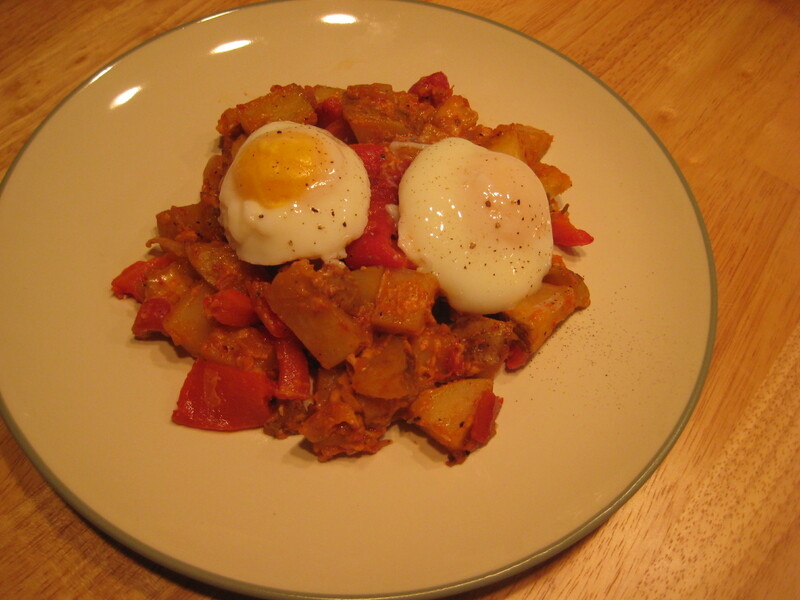 Mexican Potato Hash with Poached Eggs! *Since my pastry chef sister, Francine, taught me to always add or change something about a recipe to make it my own, the below ingredients and directions are based on the way I created the dish and not from the recipe found on WeightWatchers.com. My version has 8 points per serving and serves 2 very hungry people. Step 1: Char the red peppers. Cut the peppers in half lengthwise, clean out the seeds, and press flat on a cookie sheet, skin side up. Rub 1 tsp canola oil on the peppers and place under a broiler for 8-10 minutes. The skin should be black and charred. Using tongs, place the peppers in a paper or plastic bag, close the bag and let the peppers sit for 15 minutes. The peppers will steam inside the bag and the black skin will pull away from the flesh. Once the 15 minutes are up, you should be able to easily peel the skin off and you will be left with a soft smokey red pepper. Slice or dice as you want and put aside. Step 2: Dice the raw potatoes, leaving the skin on. Add 2 tsp of canola oil to a pan on medium heat. Add the potatoes and a diced onion. They will take at least 15 minutes to cook and you should stir often. Add salt and pepper to taste. If the onions are browning too quickly, lower the temperature and continue cooking. 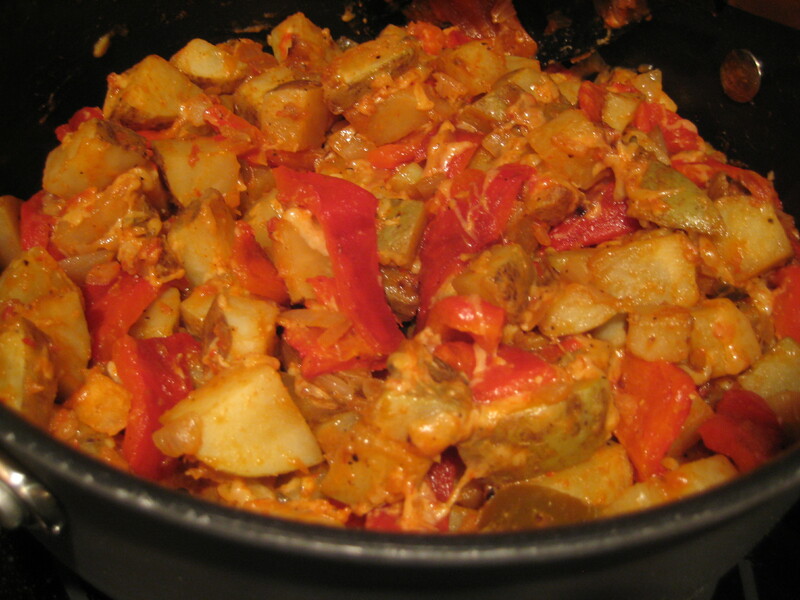 Once the potatoes are fully cooked, stir in the salsa and charred red peppers then add the cheese. At this point, you should lower the heat on the stove and let the finished hash stay warm while you poach the eggs. 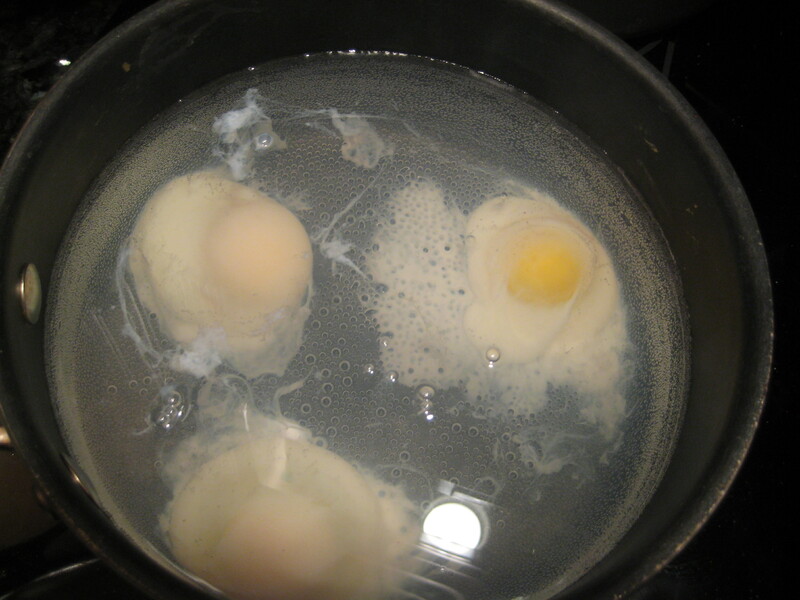 Step 3: Poach eggs using the directions in the first section of this post. You are ready to eat! Spoon the hash on to a plate then place the poached egg on top. If your yolk is running, break it over the hash to enjoy this delicious and healthy meal any time of the day. 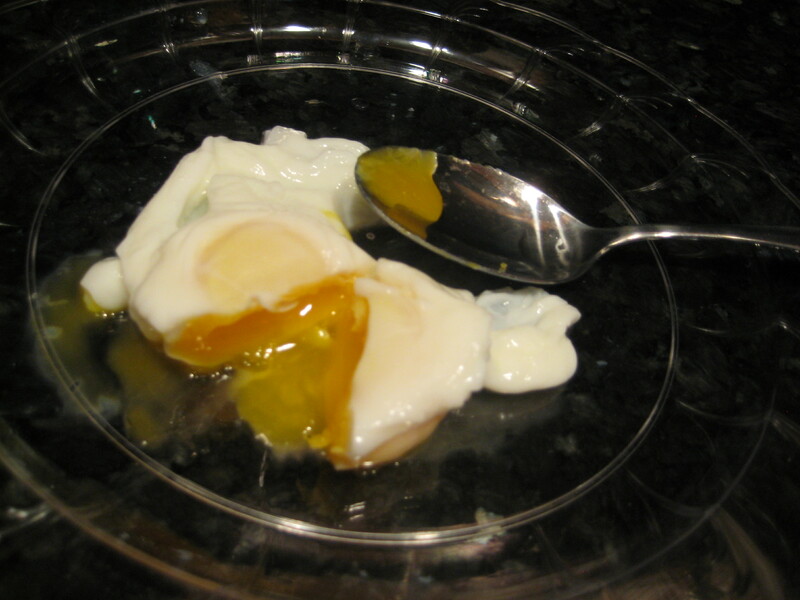 3 Comments on "My First Poached Egg"
Try adding some vinegar to the water. The vinegar doesn't make the egg taste different? I don't want to taste the vinegar, you know?!? I was worried about that so I left it. When I did it, I didn't taste it. Plus, I like ketchup with my eggs, which has vinegar anyway. I've never scientifically tested with and without vinegar, so it would be interesting to know if there's a difference. Pretty much all of the recipes have it.